This Denali Park flightseeing tour is sure to be the highlight of your trip to Alaska. An aerial tour with Regal Air is the best way to see this Alaskan treasure. Our 3 hour flightseeing tour of Denali peak and Denali National Park departs Anchorage daily, and flies North into the majestic country of Denali. As you head towards Denali you will climb up and get spectacular views of Anchorage and the Chugach Mountains. As you continue to head North, the Alaska Range comes into site. You will immediately notice two towering giants overlooking the rest of the mountain range, Mount Foraker, and Denali. Once in Denali National Park you will get once in a lifetime view of some of the world’s largest and most incredible glaciers, glacial ice falls (“waterfalls of ice”), sheer vertical cliffs. You will be immersed in 360 degrees of breathtaking scenery. Fly over the remote mountain top glacier base camp, where climbers begin their ascent of Denali. Finally you will arrive right at the base of the largest peak in North America, Denali (formerly know as Mt. 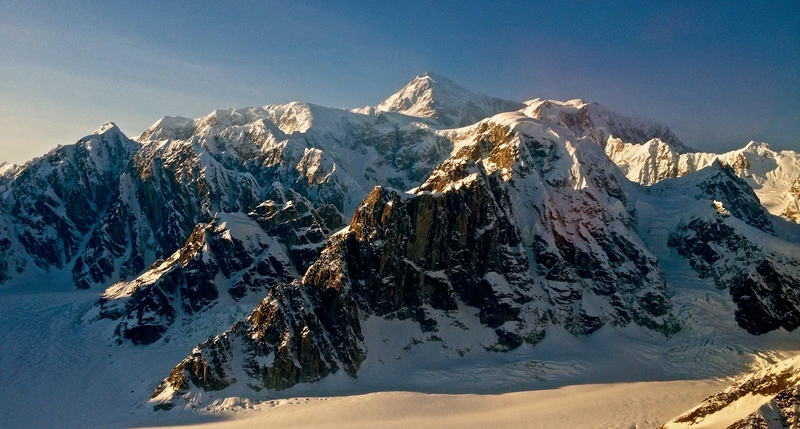 McKinley)– towering 20,310 feet over the Alaskan Wilderness. Even from an airplane this awesome peak will tower over you. You will undoubtedly be awestruck by the epic scale of this mountain. After the journey around the mountain of Denali and through the National Park we will make a water landing on Chelatna Lake. This high mountain lake is tucked scenically into the Denali foot hills. There, we will get out of the plane onto a beautiful sandy beach and stretch our legs after this epic flightseeing tour. After taking in the fresh mountain air at Chelatna Lake we descend towards Anchorage along beautiful braided Alaskan Rivers spotting for wildlife. We will look for Moose, Grizzly Bears, Swans, and Eagles as we fly over the dense forests of the Susitna Valley. 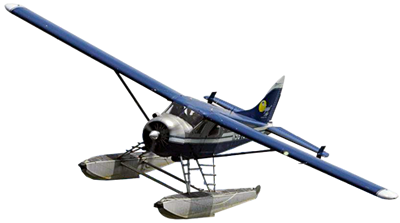 As the flightseeing tour comes to an end over the Cook Inlet, we will look for Beluga Whales as we fly into Lake Hood, the busiest seaplane base in the world. Alaska Flightseeing with Regal Air at Denali National Park is sure to be the experience of a lifetime! Contact us today to book your Flightseeing Tour of Denali National Park.